Our client, age 18 and just six months out of a juvenile detention facility, was intent on avenging the beating of his friend by several folks. Our client was also a member of a now-defunct gang, but unbeknownst to him, the gang had split apart and was no longer operating. 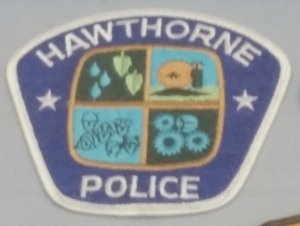 Synopsis: Hawthorne Police & Airport Courthouse, 18 year old beats fellow teenager over head with tire iron, utters gang names, faces 34 years state prison, gets four. As he and a friend were driving down a Hawthorne alley, he spotted one of the folks who beat up his friend. Our client told his driver to stop the car. Our client then grabbed a tire iron and approached the other teenager, asking, “where you from,” a typical gang challenge. The other teenager did not say a thing, according to three witnesses who witnessed the attack. Our client then clubbed the other teenager over his head, causing blood to spill from the victim’s head. The victim raised his arms to block the blows and thereby also incurred some blows from the tire iron to his forearms and hands. The victim tried to run away, but our client pursued him and continued to hit him. Three witnesses watched the attack, each saying that as our client ended his attack, he yelled out the name of the now-defunct gang. Our client then jumped back in the car and sped away. Twenty-two days later, the Hawthorne Police Department served a search warrant on our client’s home and arrested our client. They seized his cell phone, which showed dozens of photographs of our client throwing up his gang’s hand sign and of tagging with the gang’s initials on walls. Other photographs showed our client drinking beer and smoking what appeared to be marijuana. Our client was charged with two counts of violating Penal Code § 245(a)(1), assault with a deadly weapon, with a three year enhancements for causing great bodily injury (Penal Code § 12022.7(a)) and a ten year enhancement for the attack being in furtherance of a criminal street gang (Penal Code § 186.22(b)(1)(C)). In the course of discovery, our office learned that the gang to which our client thought he was acting for really did not exist any more. Our client apparently did not know this, but this was lucky for us. In further investigation, our office obtained the security videos from behind the businesses where the attack took place and viewed the videos. The videos showed nothing, as the cameras were pointed in the wrong direction. Our office then negotiated aggressively on behalf of our young client, pressing our case not only to the prosecutor, but his supervisor as well. We submitted a “Good Guy” packet with over fifteen letters of support for our client, including photographs. Slowly, the plea bargains got better and better, but we were fast approaching the preliminary hearing and the judge vowed to allow no more continuances. Our concern with having to go forward with the preliminary hearing was that an attempted murder charge would be alleged. Finally, at the last opportunity, the District Attorney sweetened the deal enough that our client accepted it: high term of four years, but no enhancements at all. Our client was happy that he was able to resolve the case without the ten year gang enhancement or the three year great bodily injury enhancements.